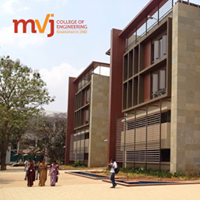 Inviting students from all across the nation! 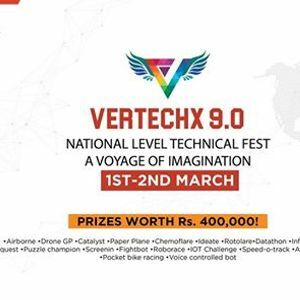 Be a part of VerTechX 9.0, a national level technical event organised by MVJ College of Engineering – a platform for budding engineers to display their creativity and skills. 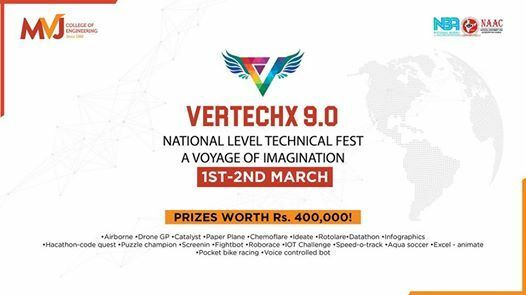 With 12 departments encompassing myriad fields of technology and management, this tech festival is sure to offer two days of thorough indulgence to the technically inclined.